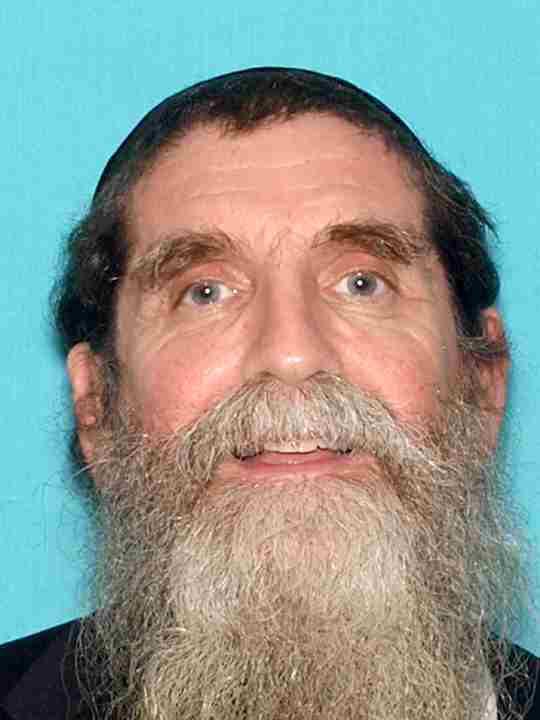 TRENTON – Attorney General Gurbir S. Grewal announced that Rabbi Osher Eisemann, the founder and director of the School for Children with Hidden Intelligence (“SCHI”) in Lakewood, N.J., who was first indicted in March 2017 on second-degree charges, now faces a first-degree charge of corruption of public resources as the result of a superseding indictment returned today. The purported fundraising foundation for the school, Services for Hidden Intelligence, LLC, also is charged in the new indictment with first-degree corruption of public resources. The superseding indictment alleges Eisemann, 61, misappropriated approximately $779,000 in public tuition funds – as well as an additional $200,000 in school funds from undetermined sources – using the foundation to steal and launder the money. Eisemann and the foundation also face second-degree charges of theft by unlawful taking, money laundering, and misapplication of entrusted property and property of government, and Eisemann faces a second-degree charge of misconduct by a corporate official. The indictment reflects new allegations, not reflected in the first indictment, that Eisemann diverted $450,000 in public tuition funds to pay taxes owed to the State of New Jersey by an associate. The indictment is the result of an investigation by the Division of Criminal Justice Corruption Bureau, assisted by the Division of Criminal Justice Financial & Computer Crimes Bureau. The first-degree charge carries a sentence of 10 to 20 years in state prison and a fine of up to $200,000, while the second-degree charges carry a sentence of five to 10 years in prison and a fine of up to $150,000. The second-degree money laundering charge carries an enhanced fine of up to $500,000, and an additional anti-money laundering profiteering penalty of up to $250,000. SCHI receives approximately $1.8 million per month in tuition from the Lakewood School District and other public school districts that send special needs students to the school. The tuition rate is set using a state formula that is based on the “reasonable, ordinary and necessary” costs to educate the students, and all tuition funds must be used strictly for operating expenses of the school. It is alleged, however, that Eisemann used the fundraising foundation, Services for Hidden Intelligence, to steal approximately $779,000 in public tuition monies. The alleged thefts of public tuition funds included $317,000 used for a personal business venture, $450,000 used to pay back taxes owed to New Jersey by an associate, and $12,000 used to pay personal credit card debt. He also allegedly misappropriated an additional $200,000 in school funds from undetermined sources which he used in a money laundering scheme intended to make it appear that he was repaying debts he owed to the school using personal funds. The charge of corruption of public resources applies in cases where there is an obligation to use a public resource – such as public tuition monies – for specified purposes, and the person charged uses that public resource for an unauthorized purpose. It is a first-degree charge if it involves $500,000 or more. The investigation by the Division of Criminal Justice revealed that the fundraising foundation, Services for Hidden Intelligence, was actually receiving money from its purported beneficiary, SCHI, rather than providing money to the school. It is alleged that Eisemann used accounts of the foundation to fund a number of enterprises with which he was associated that had no relationship to the school. The indictment alleges Eisemann stole approximately $317,0000 in operating funds from SCHI – specifically, public tuition funds entrusted to the school to educate special needs children – that he invested in a now-defunct clothing business, TAZ Apparel, LLC, that was operated by a business associate. This was a personal investment of Eisemann. Neither the school nor the fundraising foundation had any ownership interest in TAZ. The investigation uncovered contracts between Eisemann and the business associate in which Eisemann agreed to finance the business up to $550,000, while the partner would manage its daily operations. Eisemann allegedly transferred the funds he stole for the private investment from SCHI’s operating account into accounts of the fundraising foundation. He then allegedly used funds in the foundation accounts to transfer approximately $277,000 to TAZ via checks and wire transfers, and to pay approximately $40,000 in AMEX expenses accrued by TAZ. In the alleged scheme to pay off the associate’s back taxes, Eisemann allegedly wired $450,000 from the school’s checking account to an entity in New York State owned by the associate. The associate used those funds and other funds in the entity’s bank account to write a check to the New Jersey Division of Taxation to pay off his back tax obligations. In the money laundering scheme, Eisemann allegedly transferred $200,000 in school funds, which were from undetermined sources, from SCHI to the fundraising foundation. The stolen funds then allegedly were transferred through several unrelated entities and individuals, including TAZ, and ultimately into Eisemann’s personal bank account. Eisemann subsequently paid the money back to the school from his personal account. Through this scheme, which was completed in six days, Eisemann allegedly obscured the origin of the money, so that he could use the school’s own money to create the false appearance that he was using personal funds from independent sources to repay debts he owed to the school. Deputy Attorneys General Anthony J. Robinson and John Nicodemo presented the superseding indictment to the state grand jury for the Division of Criminal Justice Corruption Bureau. Attorney General Grewal commended all of the detectives and attorneys who are handling the ongoing investigation for the Division of Criminal Justice Corruption Bureau Central Squad and the Division of Criminal Justice Financial & Computer Crimes Bureau, under the supervision of Deputy Bureau Chief Jeffrey Manis and Bureau Chief Anthony Picione of the Corruption Bureau. Attorney General Grewal also thanked the New Jersey Department of Education. The investigation began with a referral from the Department of Education regarding SCHI’s financial practices. The indictment is merely an accusation and the defendants are presumed innocent until proven guilty. The indictment was handed up to Superior Court Judge Mary C. Jacobson in Mercer County, who assigned the case to Middlesex County, where the defendants will be ordered to appear in court at a later date for arraignment.